✓UnbreakableThis blue glass serving platter is designed with you and your family in mind. Will not break when falls to the ground. Great advantage, especially with little ones around. ✓ Chip resistant The rectangular glass tray will not chip with heavy use. 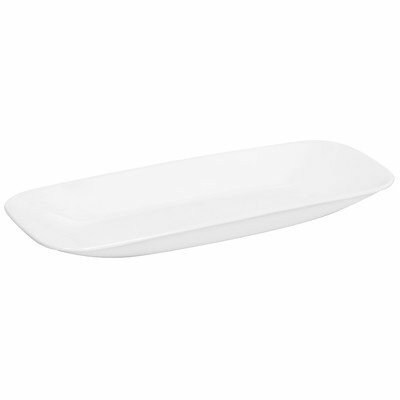 Perfect rectangular serving tray for daily use and hosting. ✓ Dishwasher safe This tempered glass rectangle plate is 3X EASIER to care for that other glass dishes since they are dishwasher safe. Cleaning is not a hassle when you serve on this glass tray and it can go straight into the dishwasher after each use. ✓Oven Safe and Microwave safeup to 350 degrees Fahrenheit. 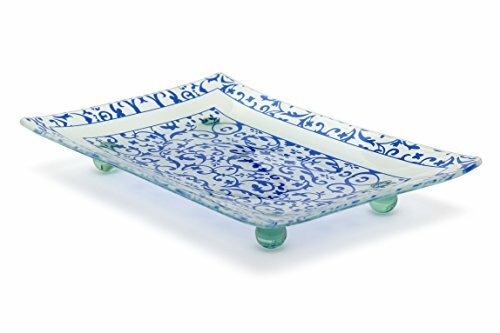 Place this blue serving tray into your oven and take them straight to the table! You will have less pots and pans dirty. Fantastic for serving hot dishes and desserts on these decorative plates, it's so simple to prepare in advance and warm them up. ✓ Elegant design It's made of beautiful, thick, sturdy glass that can hold even heavy weight items. The design of this decorative plate is beautifully crafted with a blue Florentine design. The decorative platter makes an elegant vanity tray and for displaying different items.